Kids always want Joe Hayes to tell The Gum-Chewing Rattler. And why not? 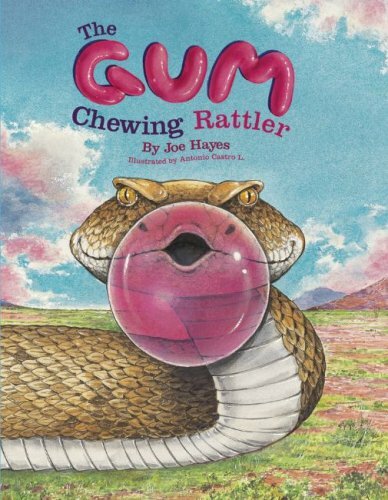 It combines so many things kids love to do—chew bubble gum, tell tall tales, and drive their moms crazy—with the wild, impossible claim that a rattlesnake chewed gum and blew a bubble with it! You see, when Joe was a boy, that’s what he told his mother—that bubble gum saved him from a rattlesnake’s fangs! Really! Don’t worry—Joe’s mother didn’t believe him either. In 2005, Joe Hayes received the Talking Leaves Award from the National Storytelling Network for his contributions to the literature of storytelling. 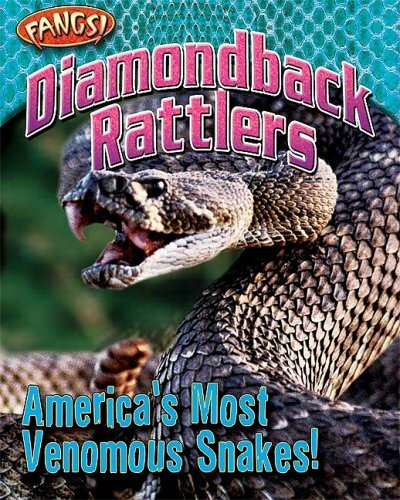 My son, who just turned three, is obsessed with two things right now - bubblegum and rattlesnakes.So when I found this book at the library I thought "Oh, perfect! ".We took it home (the ride home was endless as he kept asking me to read the book while I was driving), and sat down immediately to read it. Rarely do children's books make me laugh outloud...usually I smile along, and of course get super animated and excitable for my children's sake.In other words they'd never know I'm laughing along because I know the book is supposed to be funny, instead of it really tickling my funny bone.Not the case with The Gum Chewing Rattler. This book is SO funny.It had me laughing outloud, and the art in the book is really remarkable.Definitely a winner...you can't go wrong.My son still asks me to read it every day. Excellent book Vance.I am going to go read your next one, I am sure it will be as good as this one.Wonderful detail and wonderful storys about wild life. This book is a delightful combination of science facts, popular un-truths and common sense stories from old time wardens. Written with a real feel of hands-on Americana. Puts the irrational fear of these critters into perspective and gives us all a glimpse into past attitudes and how they compare with present fears. Truly an enjoyable read! 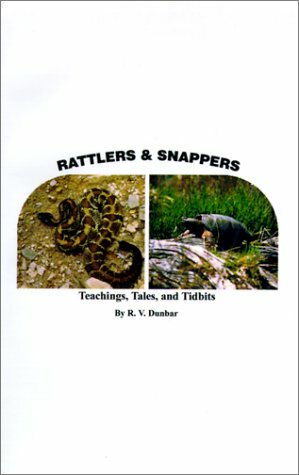 Rattlers & Snappers is not only a book about snakes and turtles, but also about conservation officers and their interactions with venomous reptiles in the mountains of north central Pennsylvania.An entire section is devoted to the art of snake handling and the ordeals of being bitten, as related by the first-hand experiences of retired conservation officer's Norm Erickson and Stan Hastings. Turtle lovers will appreciate the section, Harvesting Snappers - From Swamp to Soup, where the author leads the reader through the backwaters of rivers, streams, and swamps in pursuit of the old mossback. This book is a must-read for anyone with a love for the outdoors. One of the best books I have ever read.Cool stories, excellent narration, very well written. A splendid book about one of our most feared and least understood creatures, combining a highly readable text with excellent photography. This is an account that should be read by the folks who are least likely to read it, those who entertain a visceral fear of snakes. I suspect they would be both fascinated and put at ease. To begin with the big question: bites? Your chances of being bitten by a rattlesnake are vanishingly small. They are highest for men in their 20s, working outdoors in North Carolina, and even then, fatal bites are rarer than being struck by lightning. They are non-existent in Alaska, Delaware and Maine where there are no rattlesnakes. (They are most common among those who hunt, hassle or engage in heroics with snakes, again, men in their 20s.) They arrived in North America as we did, across the Bering land bridge, and although their relatives the vipers evolved in Asia, the rattler is exclusive to the Americas. Their body form (small head, massive muscular body) is typical of snakes that sit and wait for prey instead of actively seeking it. They can strike quickly, they DO NOT chase anything, including people. 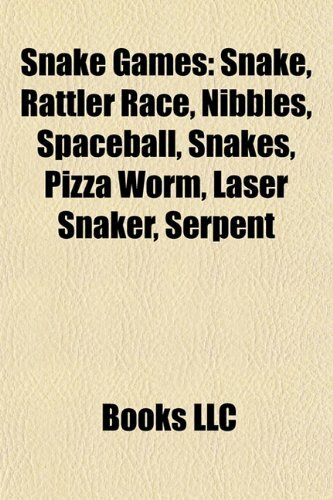 Altogether, a fascinating account by a world-reknowned authority on reptiles and their kin. Best photography of rattlesnakes yet. If you don't read a single word in this book it's worth the price for the photos alone. 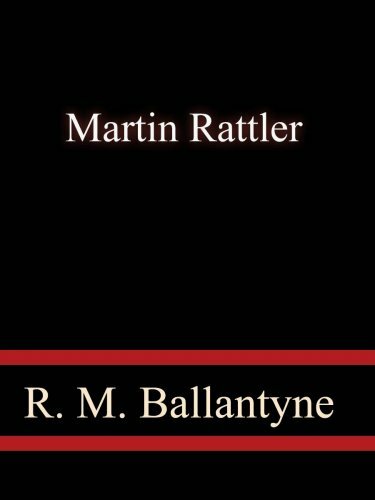 The section on all the various rattlesnake species in the back of the book is also outstanding and only adds to the overallexcellence of this publication.Well done Mr. Mattison. Great for complete species reference. 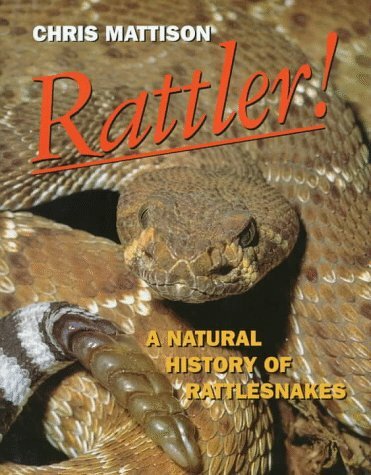 Mattison does a great job of providing an overview of the natural history of the rattlesnake genera.Besides natural history information, the book has photos and descriptions of ALL KNOWN species (and most sub-species).Igrab this book off my shelf first when looking up details on a particularrattlesnake species.Most field guides contain only the "major"rattlesnake species. This book is a great quick reference on all species. It is very well organized.